The Gay Gamer: Now, why'd he have to go and say that (again)? 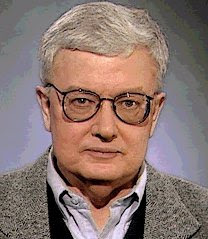 A few years ago, film critic Roger Ebert sent gamers the world over into a tizzy by saying that games aren't art. Although the remark inspired countless articles and blog posts on the subject (heck, I wrote one of the former for gamasutra.com in 2007), Ebert refused further comment--until late last week, when a post titled, "Video Games Can Never Be Art," appeared on his Chicago Sun-Times blog. Unfortunately, Ebert spends the bulk of his post trying to dismantle a developer's argument in favor of games being art rather than trying to back up statements like this: "No video gamer now living will survive long enough to experience the medium as an art form." The few times he tries to defend his position, he falls short. For example, early on he writes, "One obvious difference between art and games is that you can win a game." Sadly, he doesn't expand upon that comment and explain how or why the existence of rules, points and/or objectives disqualifies games from being art; all he says is that "real" art forms "are things you cannot win; you can only experience them." Near the end of his post, Ebert asks, "Why are gamers so intensely concerned, anyway, that games be defined as art?" Given his inability to explain his position--and his admitted inexperience with the medium he's so keen to criticize--my question to infuriated gamers (myself included) is: Why are we so intensely concerned with what such a person has to say about our hobby of choice? I don't care what he says about games...or movies, for that matter. It would seem that maybe he needs to play some games before he tried to badmouth them. I'd like to see him play Shadow of the Colossus and then talk about games not being art. I just find it funny/interesting/strange that he cares enough to comment on the subject. Maybe he has heard people compare games to movies -- or has read articles that suggest games make more money than movies these days -- and it got his nose out of joint. Regardless, it's bizarre that he would take the time to type up a post against games when he's never played any.